Justin Lawrence wrote this article to teach other attorneys how to handle a personal injury case, such as a car accident or a slip-and-fall, when the defendant in the case files for bankruptcy. If you have a personal injury or workers’ compensation claim, the case law and advice in this article can help you navigate the minefield that this situation creates – if and only if you are certain you fully understand the terminology and statutory law underlying the case decisions. 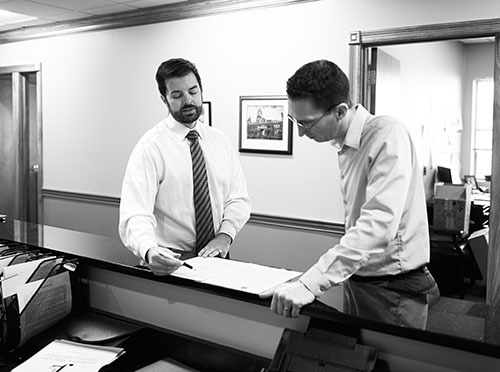 If you have any questions about how to pursue a personal injury or workers’ compensation claim when the responsible party is in bankruptcy, or how to navigate such a claim when you have to file bankruptcy, please give us a call. We’re Working Hard for the Working Class, and we would like to help you!